If you have trouble areas of stubborn fat that won’t go away no matter how much you diet and exercise, Aqualipo® can help. Aqualipo® is a revolutionary new minimally invasive liposuction technique that uses the ground breaking powerful fat flushing technique with gentle water assisted liposuction to give you superior body contouring results. Since there’s no need for general anesthesia, Aqualipo® reduces medical risk, while minimizing patient downtime. Aqualipo® dramatically decreases bruising, swelling and bleeding. And, since Aqualipo® permanently removes fat cells in the treated areas, you can expect outstanding body contouring with long-lasting results. During the Aqualipo® process, your fat in targeted areas will be gently flushed from the body by the water assisted liposuction system. By gently removing the fat with the aspiration unit, the Aqualipo® process avoids the aggressive and traumatic actions of old-fashioned, conventional liposuction. For Aqualipo® patients, that means significantly less bruising and swelling, with lower medical risk and virtually no downtime. With Aqualipo®, water-jet assisted liposuction is a ground-breaking new liposuction technique that can achieve significantly better body contouring for outstanding, long-lasting results. To request further information about Aqualipo®, click here. While the information provided is educational in nature, we suggest that you discuss your own individual circumstances and expectations with a physician who is a member of the Aqualipo® network. The Aqualipo® network includes doctors who are committed to the Aqualipo® process. You should make an appointment for a personal consultation with a trained Aqualipo® doctor. Click here to locate a trained Aqualipo® doctor in your area. Aqualipo® is a revolutionary new liposuction that uses a ground breaking technology with a gentle, water-based fat removal system. Aqualipo® provides excellent results, with less bruising and swelling, and minimal patient downtime. Do you have stubborn areas of fat that you can’t seem to tone, no matter how much you diet and exercise? Aqualipo® can help wash the fat away. Aqualipo® can help with tummy flab, bra bulges, love handles, saddle bags, double chins, as well as excess fat in the neck, arms, thighs, knees, and male breasts. First, your Aqualipo® surgeon uses a powerful water jet fat removal system to gently flush the fat from the body. For most patients, the entire process can be done in the office in just 30 to 45 minutes for each area treated. 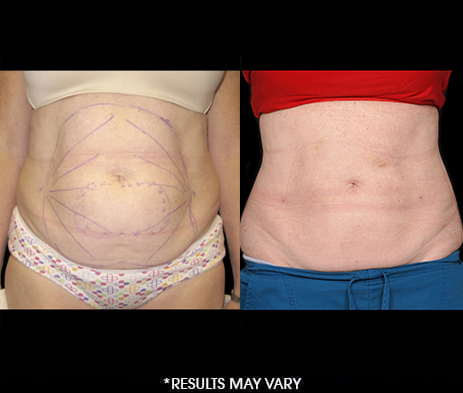 Is Aqualipo® different than liposuction? Yes! Unlike conventional, antiquated liposuction techniques, with Aqualipo®, there’s no need for general anesthesia. That translates into less medical risk for the patient. What’s more, the Aqualipo® technique permanently removes fat cells, but also promotes skin tightening for superior, more sculpted results. Finally, the water jet fat removal system gently flushes the fat from the body, so there’s significantly less bruising and swelling. How long will I be laid up after Aqualipo®? Most likely you won’t be laid up at all. In fact, some people call Aqualipo® “lunch break lipo” because most patients can have the procedure performed in less than an hour, and then continue with their regular activities the same day. The Aqualipo® network includes doctors who are commited to the Aqualipo® process. You should make an appointment for a personal consultation with an Aqualipo® doctor. Click here to locate an Aqualipo® doctor in your area.